Hello and welcome to My Creative Time's "5" Days of Christmas"! This week we will be sharing with you LOTS of last minute Christmas ideas, such as cards, tags, treat holders, gift card holders and whatever else comes to mind that will help YOU get your juices flowing for the holiday! There will be a giveaway each day and a winner will be announced each day! Example, winner of Monday will be announced on Tuesday, winner of Tuesday will be announced on Wednesday.....and so on! All you have to do is leave your comments on each stop for a chance to win a $15 Gift Card to the My Creative Time store! Today is our 5th and final day of our 5 Days of Christmas! We all will be showcasing assorted quick and EASY holiday projects! Sentiment: Merry Christmas to all... and to all a good night. This card was easier to put together than it may seem. I used lots of die-cuts, including the sleigh. I also embellished with hibiscus flowers and a sentiment tag. With assorted patterned paper and a touch of gold foil it was ready for sending. This is another project with tropical climates in mind during the holidays. Although snowmen and snow are pretty, many like me enjoy a sunny climate at Christmas time. ***GIVEAWAY*** Don’t forget to leave your comments on all of our blogs for a chance to win a $15 gift card to the My Creative Time store AND for a chance to win this prize package from Emma! These are a few of here favorite things from 2018! Here is a look during the card process. 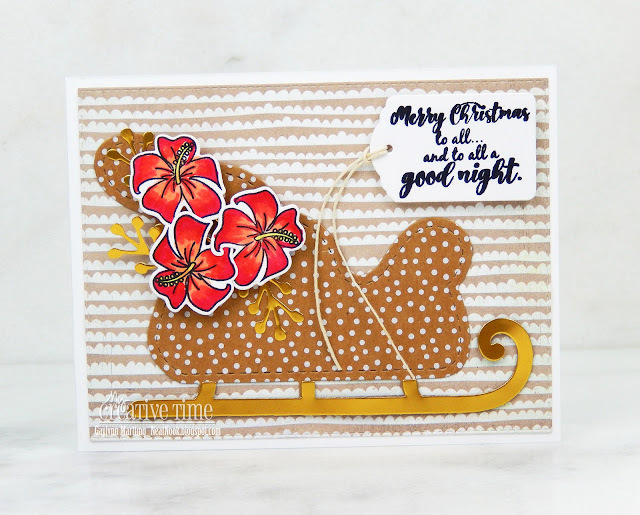 Supplies: My Creative Time Christmas Wishes, Sleigh Die, Already Missing You, Mini Chalkboard Tags, Stitched Rectangular Frame Dies; Copic markers R02, R20, Y13, R27, RV29; gold adhesive foil and twine. Be sure to visit Emma's My Creative Time blog for more holiday project inspiration. Thanks for visiting and have a holiday season. Today is our 4th day of our 5 Days of Christmas! We all will be showcasing some quick and EASY gift card holders! 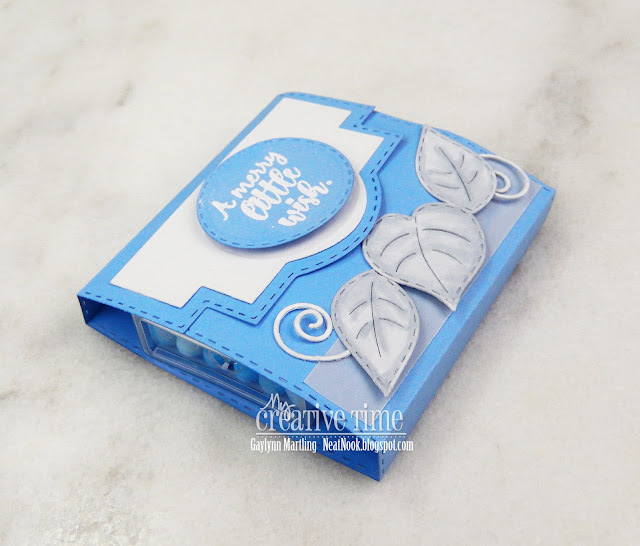 This gift card holder or small gift box was easily die-cut and trimmed with belly band die-cuts. 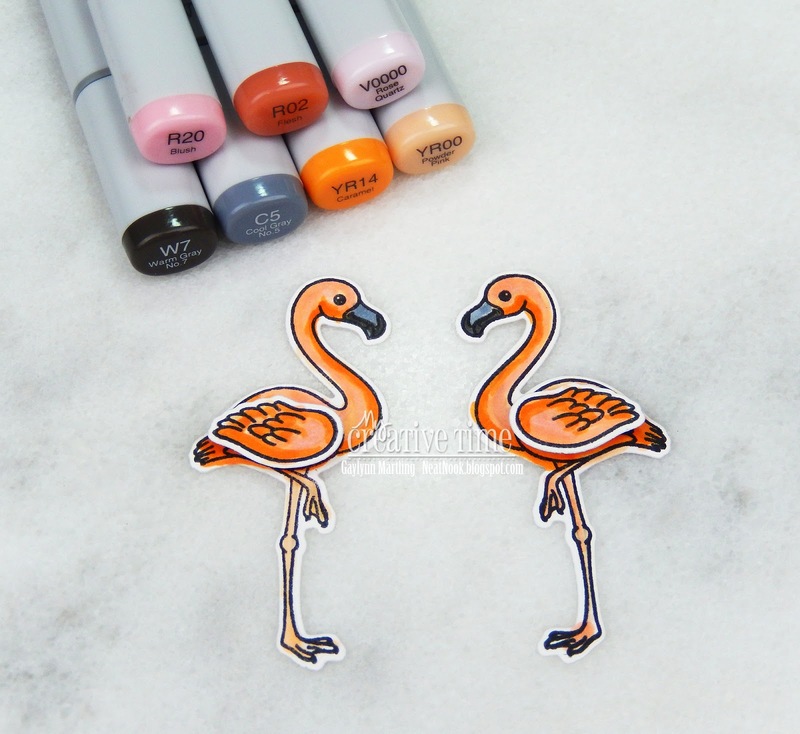 The flamingo was stamped, colored in and placed as an accent along with the sentiment. This is great for those of us living in tropical climates. 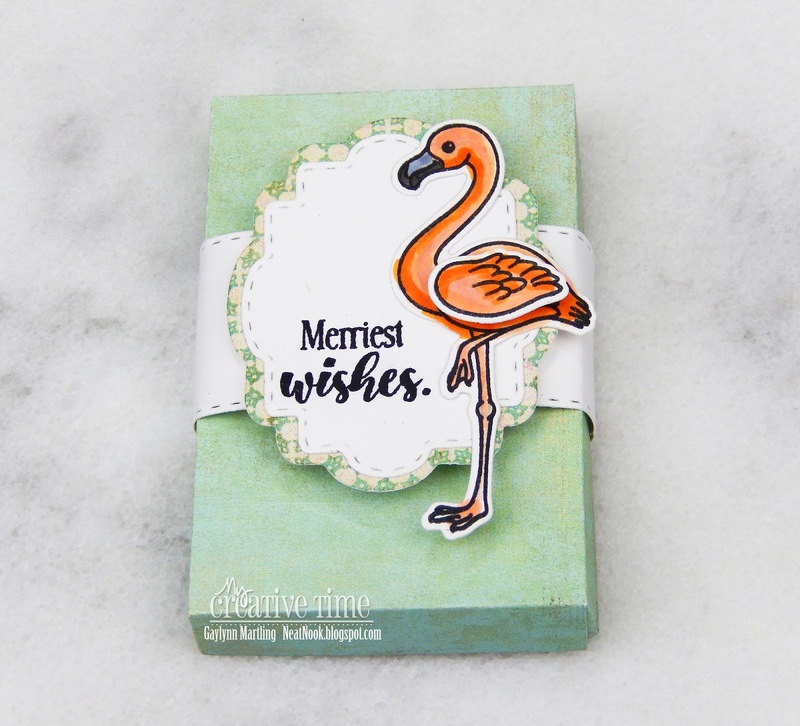 Switching out the flamingo, makes this something perfect for year round gift giving. ***GIVEAWAY*** Don’t forget to leave your comments on all of our blogs for a chance to win a $15 gift card to the My Creative Time store! ALSO, in addition to the $15 Gift Card that will be given away each day, Emma has a special prize that she will be giving away on Friday! It’s a few of her favorite things from 2018! I hope we ALL inspire you this week! Here is a look during the process. 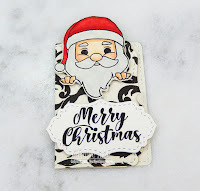 Supplies: My Creative Time Christmas Wishes, Already Missing You Revised, Stitched Belly Band Dies, Gift Card Gift Box Die; Copic markers R02, R20, V0000, RY00, YR14, W7 and C5. Christmas card with colored pens and watercolor. For Watercolor Wednesday on the Unity blog, I am mixing color mediums using colored pens along with watercolor. I like to use either colored pens or colored pencils for detailed areas. Watercolor was added to the majority of this card but detailed with pens. Supplies: Unity Stamp Co. Your Season, Ranger watercolor paper and archival ink; Sakura Koi watercolor, Staedtler Triplus Fineliner pens, heat tool and My Creative Time dies. Today is our 3rd day of our 5 Days of Christmas! We all will be showcasing some quick and EASY cards! Sentiment: Thinking of you at Christmas. This card was easy to put together. 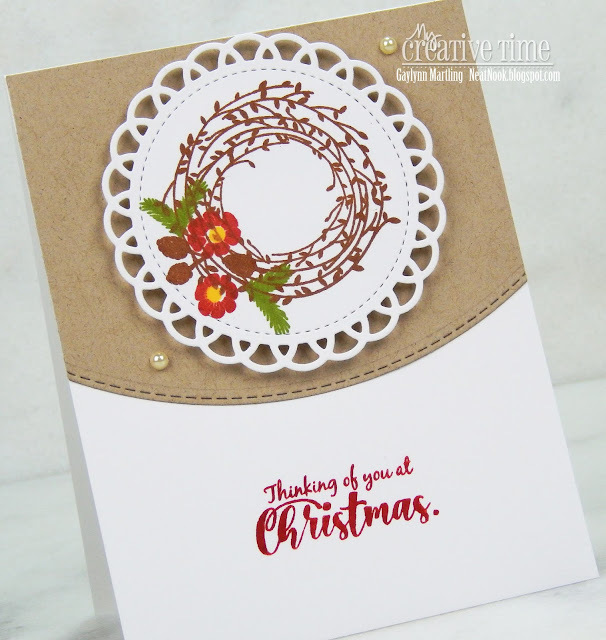 I pre-stamped a wreath with different ink colors, die-cut a trim piece and a doily and then stamped the sentiment. This could easily be mass produced by preparing the sections in multiples and then assembling everything at the end. This is below one ounce for mailing, which for me is a bonus. 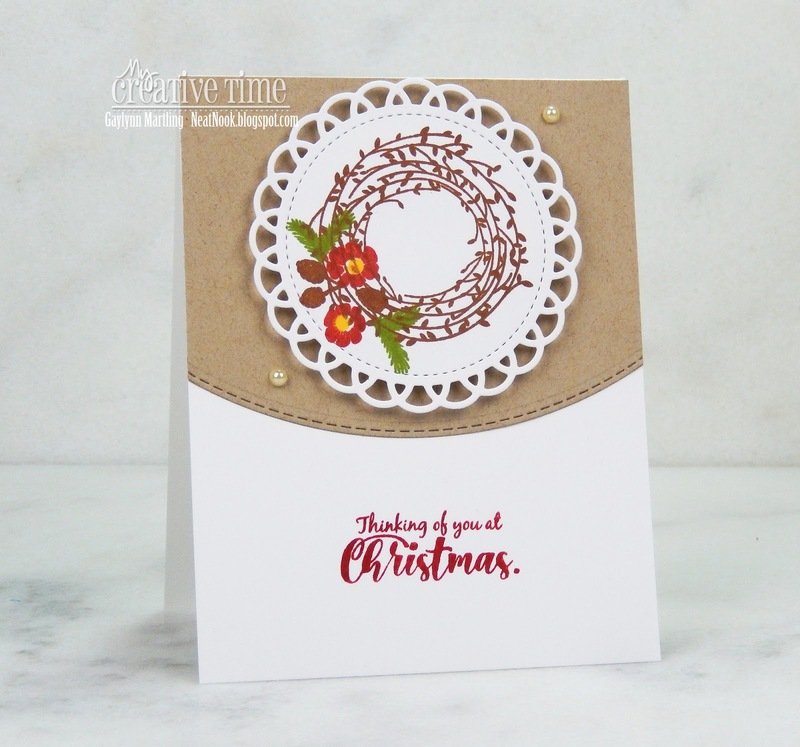 Supplies: My Creative Time Christmas Wishes, Pretty Spring Wreaths, More Stitched Edges and Bunch of Stitched Doily Dies; Ranger archival ink in red geranium, chrome yellow, coffee and fern green. Today is our 2nd day of our 5 Days of Christmas! We all will be showcasing some quick and EASY treat holders! Sentiment: A merry little wish. This is a treat wrap gift holder in blue, white and gray. 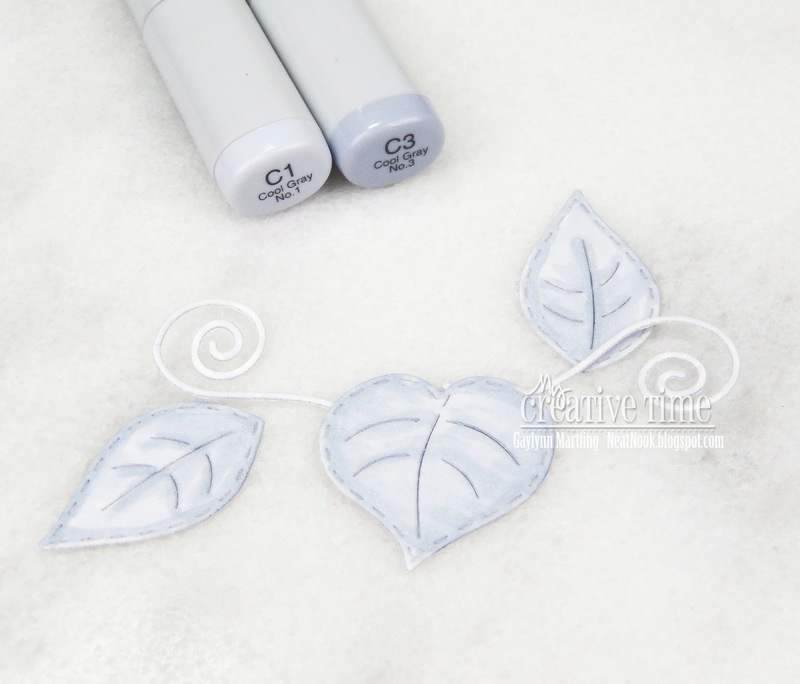 I used Copics to color in the leaves and the sentiment was heat embossed in white. 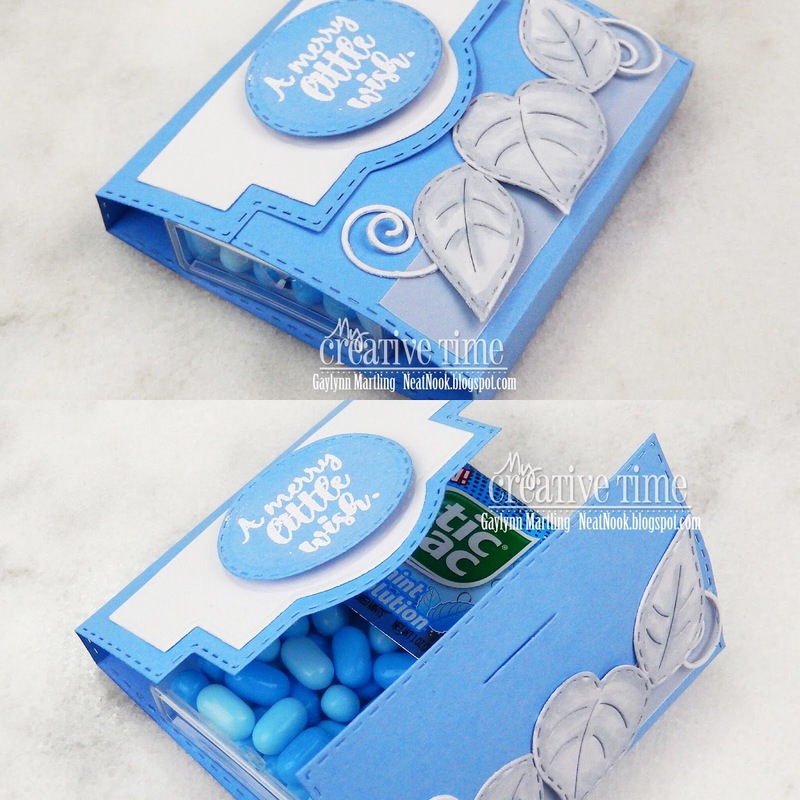 The inside holds a pack of blue Tic Tac mint candies. This container can holder sticky notepads, treats, mint cards and more. Here more photos showing the treats. Supplies: My Creative Time Christmas Wishes, Note Card Holder Die and Little Stitched Leaves; Copic markers C1 and C3; Tic Tac mints; white embossing powder, VersaMark ink. Angel Christmas card vintage style. Today, I am sharing this vintage style angel Christmas card. 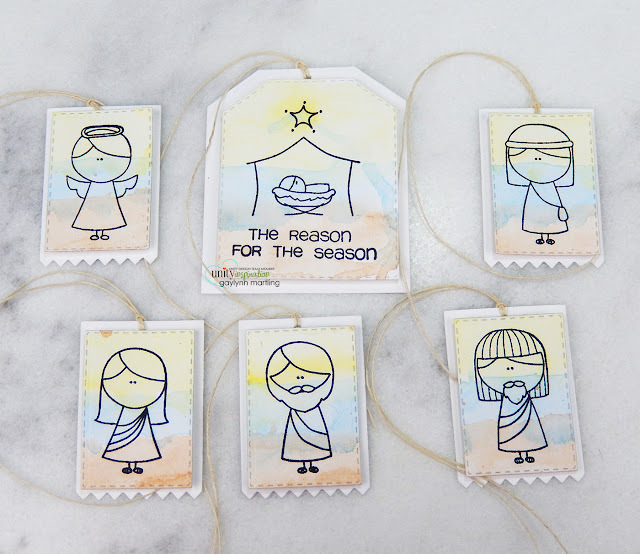 It is part of the Unity Stamp Co. Cyber Monday release and sale. Sentiment: Blessings to you this holiday season. 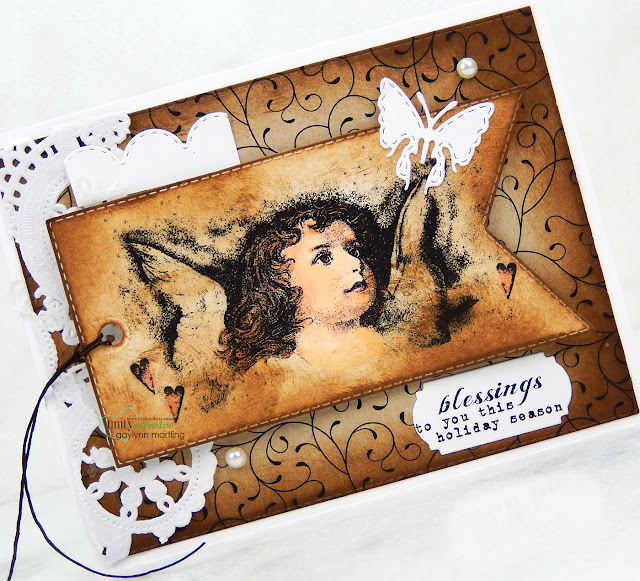 This card incorporates stamping and distress ink to create the vintage vibe. 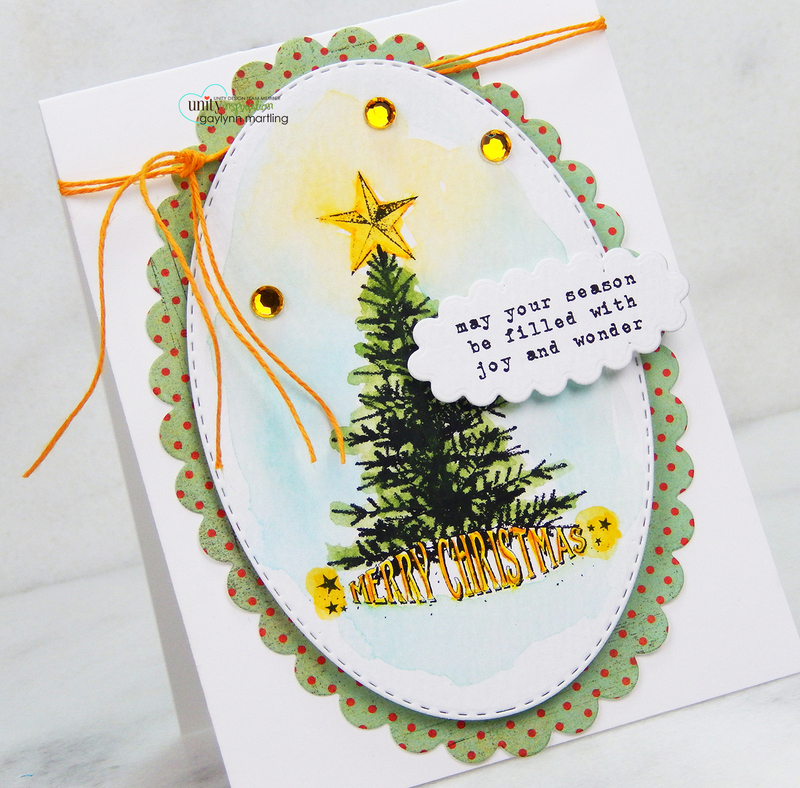 I used white embellishment accents to create contrast, along with an angel tag as the focal point. Here is a quick video tutorial for this project. 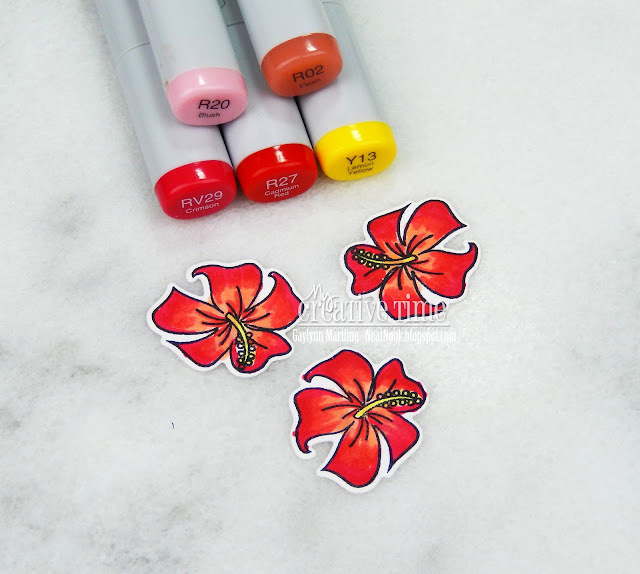 Supplies: Unity Stamp Co. Flourish Wonder by Ann Butler and Peace, Peace, Peace by Joslyn Nielson; Ranger walnut stain distress ink, Copic markers R20, E00, E13, E11; doily, My Creative Time dies and adhesive pearls. Hello and welcome to My Creative Time's "5" Days of Christmas"! This week we will be sharing with you LOTS of last minute Christmas ideas, such as cards, tags, treat holders, gift card holders and whatever else comes to mind that will help YOU get your juices flowing for the holiday! There will be a giveaway each day & a winner will be announced each day! Example, winner of Monday will be announced on Tuesday, winner of Tuesday will be announced on Wednesday.....and so on! All you have to do is leave your comments on each stop for a chance to win a $15 Gift Card to the My Creative Time store! Today is our 1st day of our 5 Days of Christmas! We all will be showcasing some quick and EASY tags! 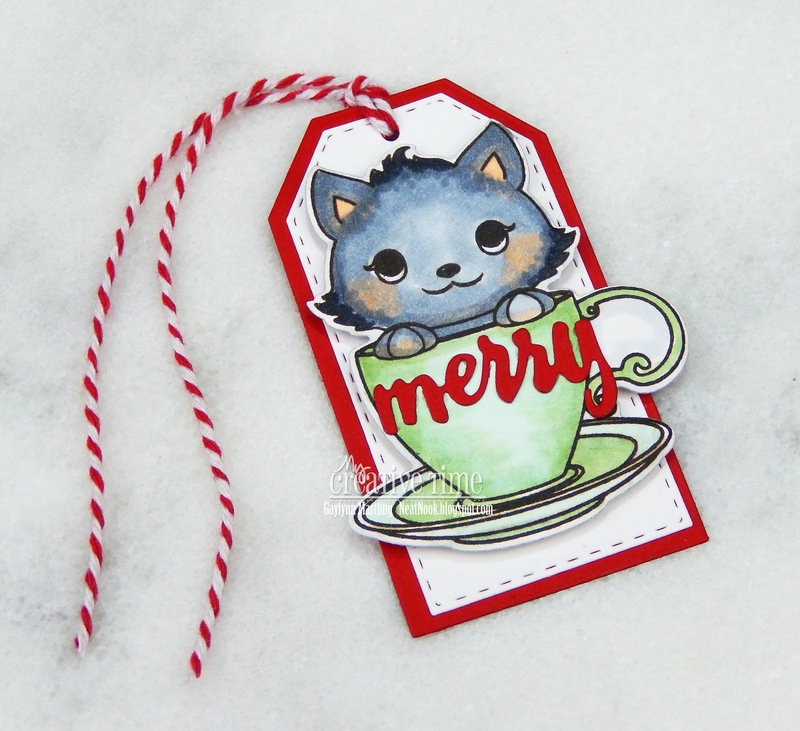 Here is my holiday tag featuring a sweet kitty in a teacup. 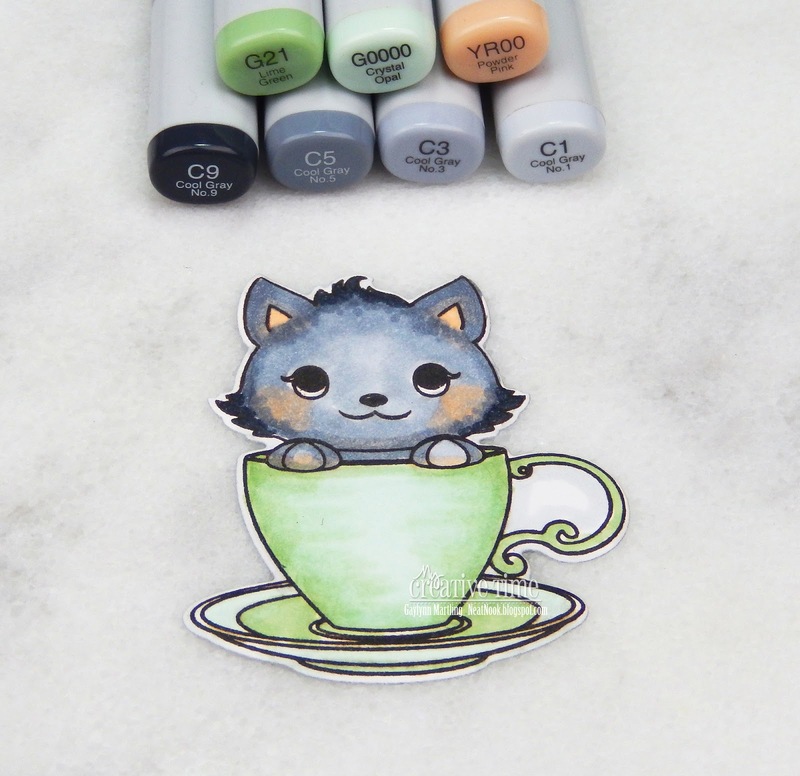 I used Copic markers on the cat and then die-cut it and the merry word. I used foam tape to layer it on the gift tag. Here is a picture of the teacup cat up close. Supplies: My Creative Time Cute Mugs and Holiday Tags Stamp & Die Set; Copic markers G21, G0000, YR00, C9, C5, C3, C1, foam tape and twine. Hello, Gaylynn here. HAPPY BLACK FRIDAY my friends! It is time to shop! 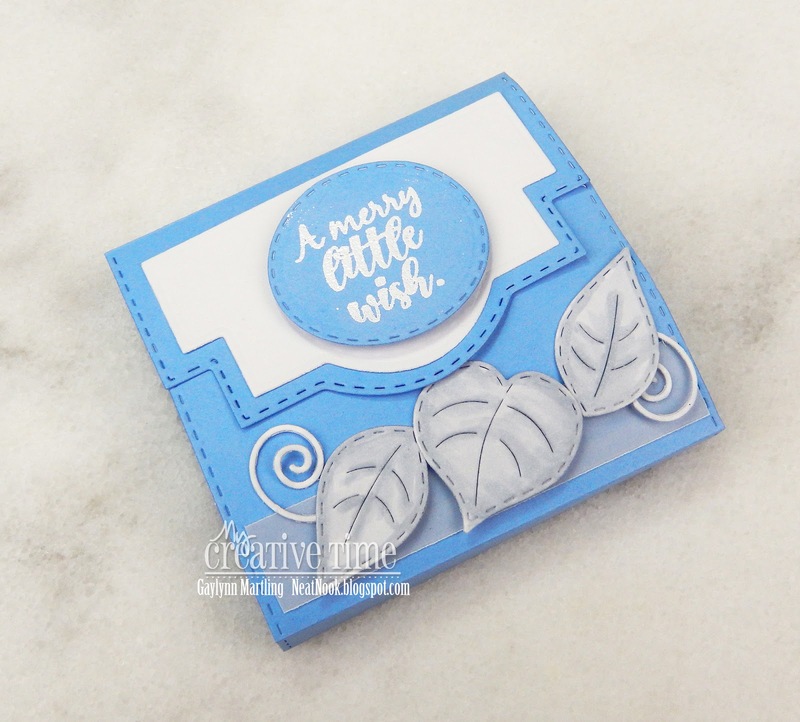 Besides the My Creative Time AWESOME sale and blog hop, we are showcasing a couple of brand new dies. They are “Sleigh Die” along with the “Sleigh Bed”. This is an open gift box in the shape of a sleigh. It has a rectangle open box at the base. The sides are in the shape of a sleigh. 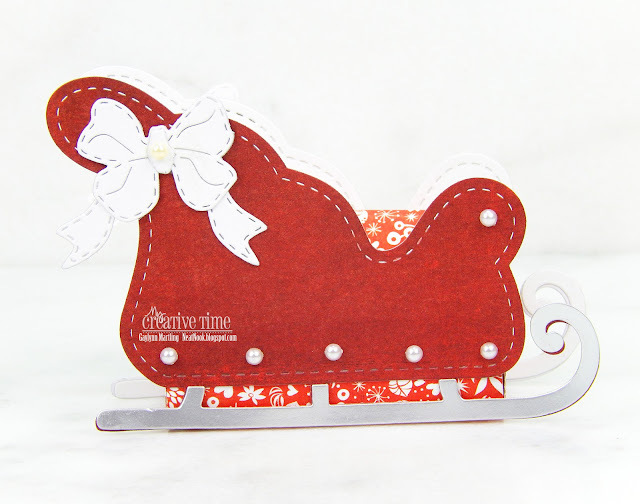 I chose to use the same paper and bow on the back side of the sleigh box as well. 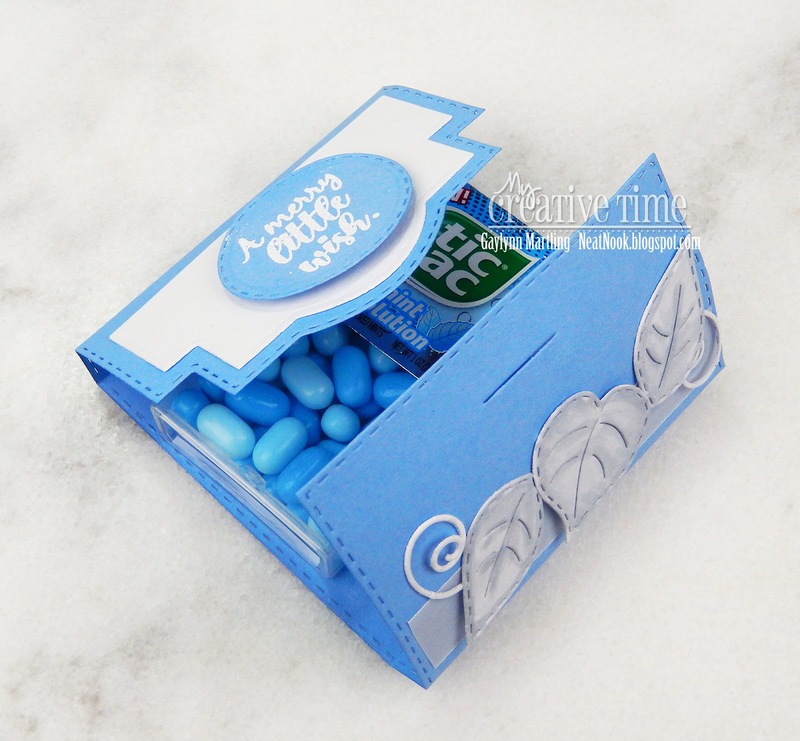 The inside of the box contains wrapped Tic Tacs as the treat. The paper used for the box base and the treat wrap is the same red and white patterned paper, but for two purposes. The photo looks to contain a gift card, which would totally work. But this sleigh box contains a treat, perfect for party favors, thank you and more. Leave your comments on each stop of the hop ALONG with a way for us to contact you for a chance to win a $25 gift card to the MCT store. GOOD LUCK! ***SALE*** We are having a special “Buy More, Save More” sale! Use the following code that will apply to you at checkout. Supplies: My Creative Time Sleigh Die and Sleigh Bed, silver and assorted paper, adhesive pearls and score tape. Hop along with us for inspiration using these dies! Your next stop in the hop is Jessica's blog. The entire blog hop lineup is on Emma's blog. Thanks so much for visiting. I really look forward to your comments. Happy shopping. Nativity watercolor gift tags with Inktense Pencils. 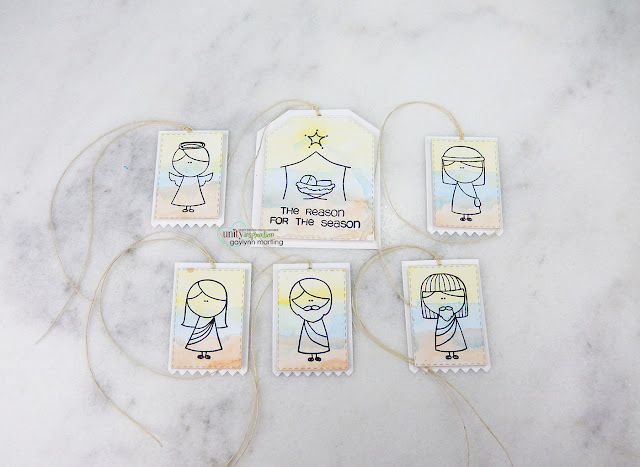 For Watercolor Wednesday on the Unity blog, I am sharing a set of Christmas watercolor gift tags with a Nativity theme. Sentiment: The reason for the season. 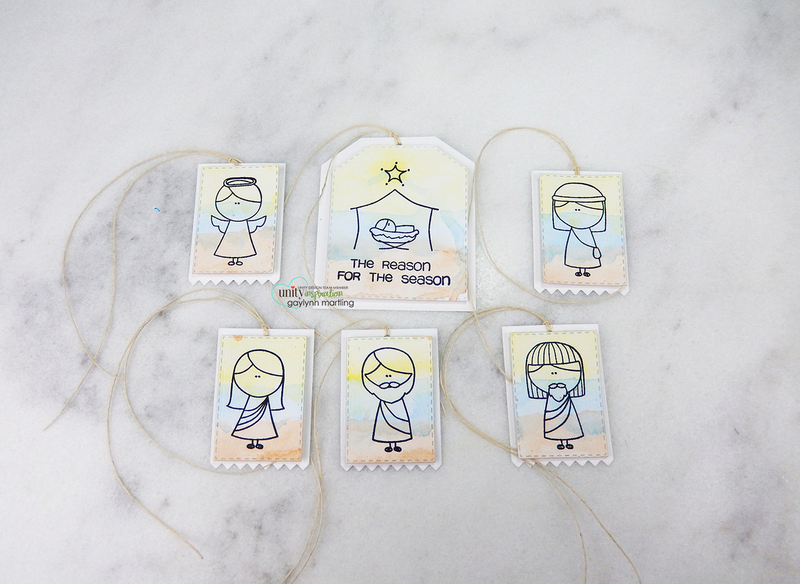 For this project, I stamped and onto watercolor paper using the Misti stamp positioning tool. Watercolor was added using inktense watercolor pencils in three different layers. 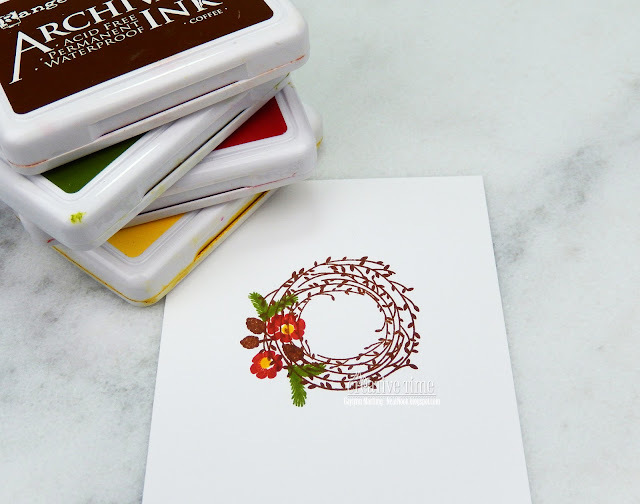 Supplies: Unity Stamp Co. Reason For The Season; Original Misti; Ranger watercolor paper and archival ink; Derwent Inktense watercolor pencils, heat tool and My Creative Time dies. 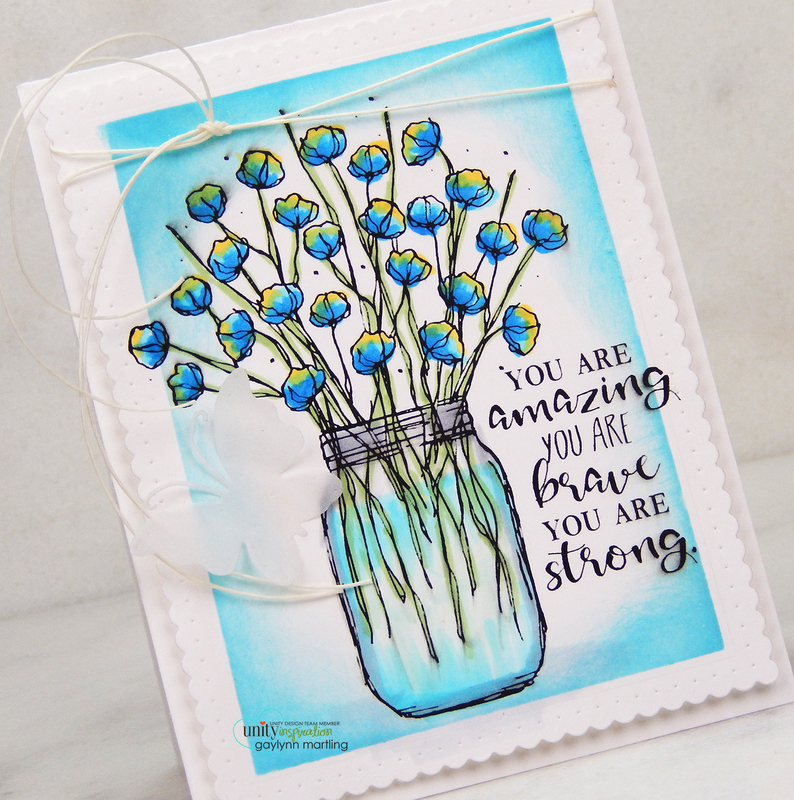 Flower jar encouragement card ~ amazing, brave, strong. 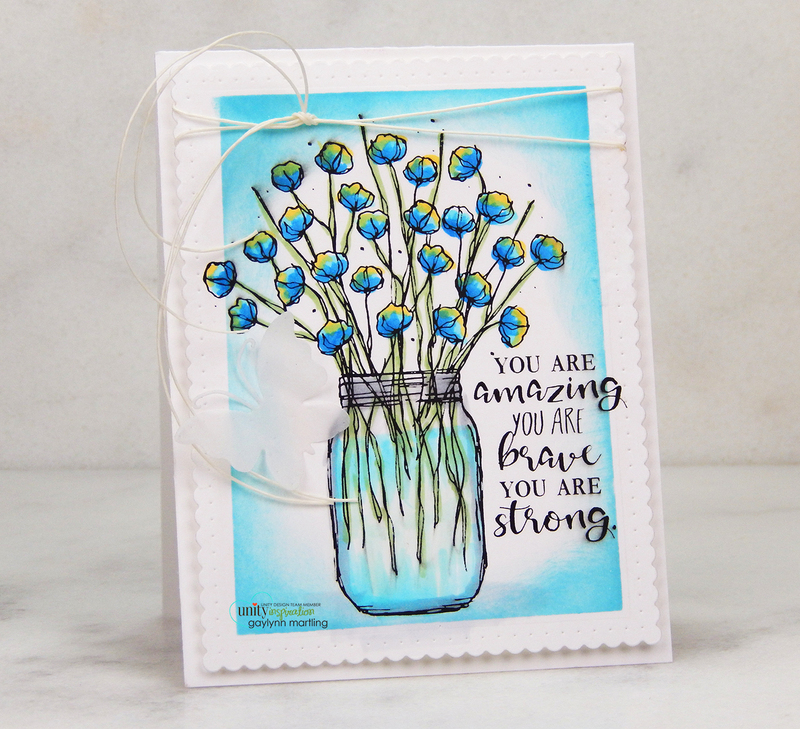 Here is a floral card, perfect for encouragement or support. Sentiment: You are amazing, you are brave, you are strong. I love flowers in a jar. These could be cotton buds, but I added color to them anyway. For the frame accents, I used a masking technique along with distress ink to blend accent edges. The flowers and the jar were shaded with Copics. Supplies: Unity Stamp Co. Difficult Roads, Ranger distress ink pad, My Creative Time and Winnie and Walter dies, twine and Copic markers Y21, G21, BG10, B01, BG53, C3, C1, B06, B14. 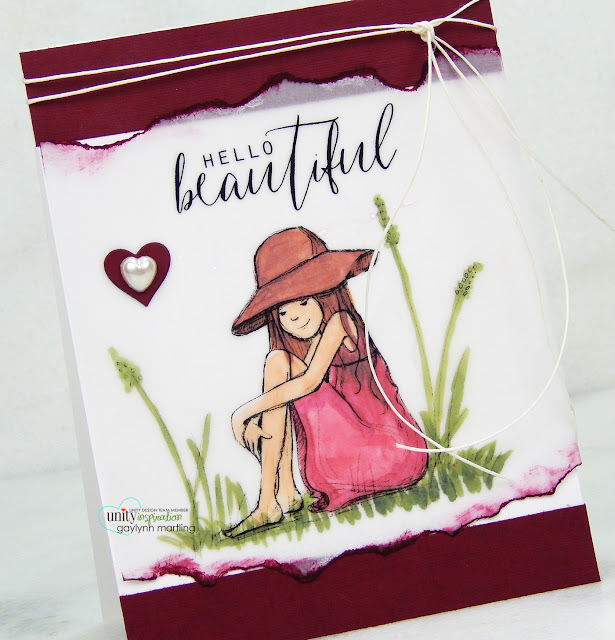 Hello beautiful vellum stamping girl card. This is an all occasion card using vellum and torn edges for accent. One of the techniques that I love is adding color to vellum stamping. For this girl, I added Copics to the opposite side of the stamping. This created a soft look to the stamped side. For the accent, I wanted an imperfect ragged vellum edge, tearing in towards me. Color was added to the edges using an ink pad. See the complete quick video tutorial. Supplies: Unity Stamp Co. Quiet Mind and Trust The Timing; vellum, Ranger archival and StazOn ink; Copic markers R37, R35, RV29, RV19, E71, E37, E18, E29, E13, E33, G99; plum cardstock. 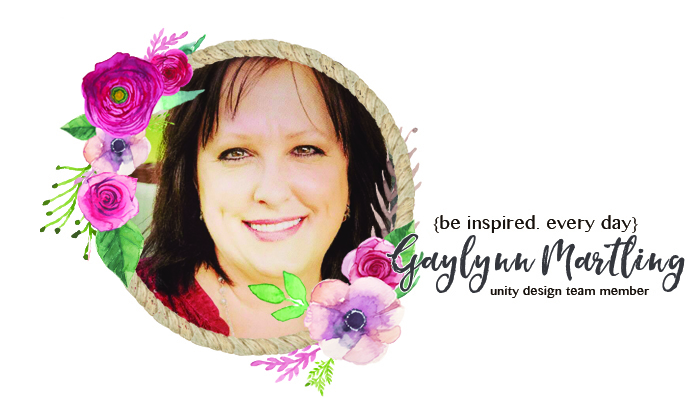 Hi, Gaylynn here. 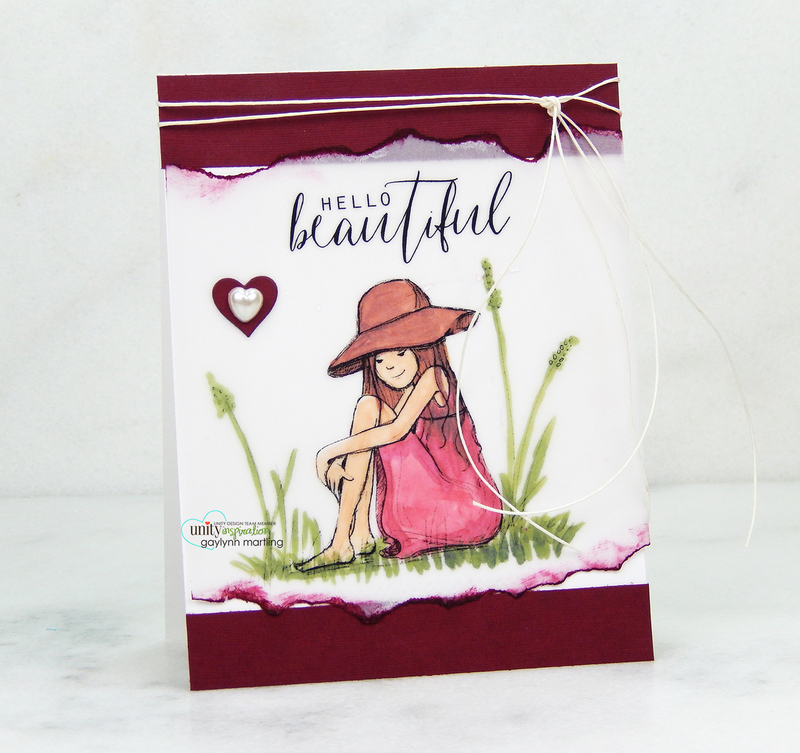 It is the MCT 85th Edition release, sale and blog hop. 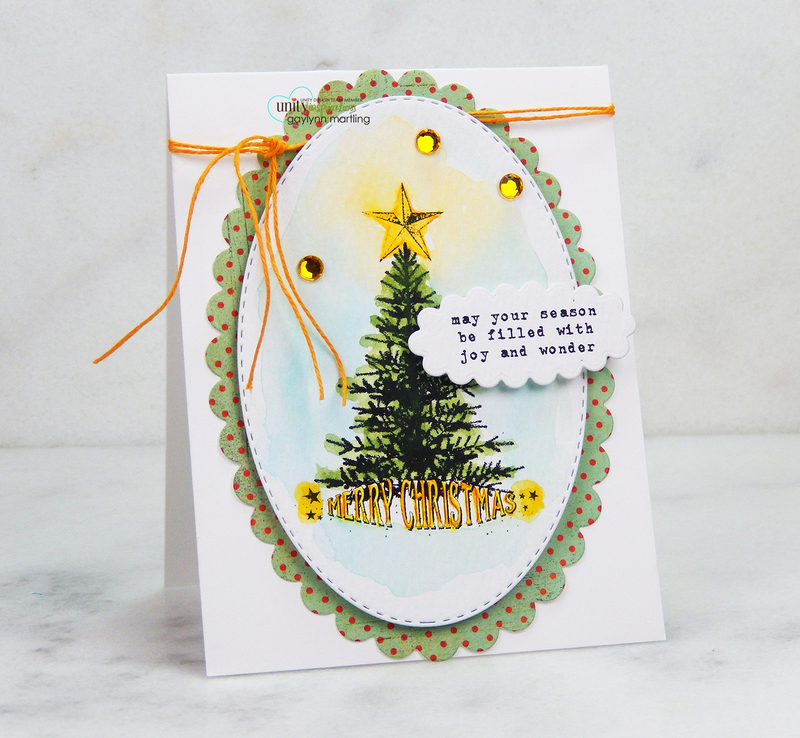 Sentiment: Sending a little Christmas magic your way. For this card, I combined a holiday greeting card with a gift card holder. This is a fun way to present a gift and greeting in one. 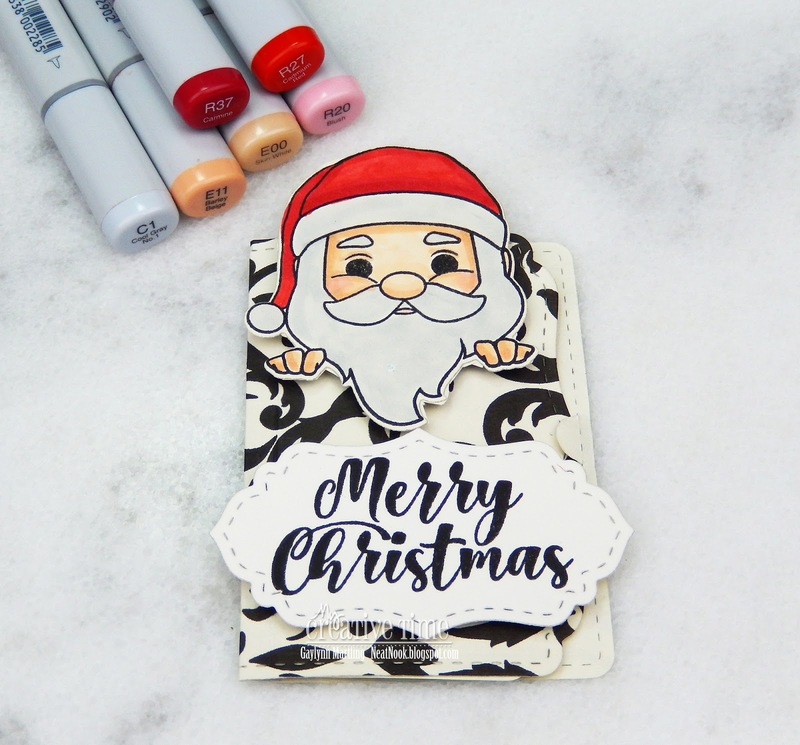 I included a sentiment tab and a Santa. 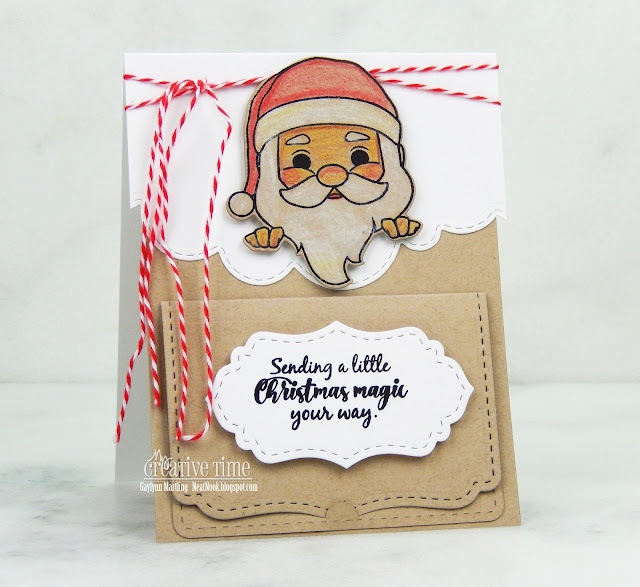 The Santa was stamped onto kraft color paper and then colored pencils were used to color him in. The gift card holder is adhered to the card front. But the holder opens to display the actual gift card. For our blog hop giveaway, Emma is giving away a $25 gift card to the "My Creative Time" store to ONE LUCKY winner! ALL you have to do is leave a comment on each of our blogs! You are NOT required to comment on EVERY SINGLE blog, but the more you comment on, the MORE chances you have for winning! VERY IMPORTANT, PLEASE leave a way for us to contact you with your comment just in case "YOU" are the lucky winner! ALSO, DON'T FORGET our sale starts RIGHT NOW here:http://shop.my-creative-time.com/Ne...! Use the code: NOV2018 to receive a 15% discount off your entire purchase! This sale applies to "IN-STOCK" items ONLY. This sale will end on Friday, November 23rd, 2018 @midnight PST. Starting on Friday, November 16, 2018 @ 8am PST, I am going to have random.org choose a winner! The winner will win the “86th Edition ENTIRE Release”! Random.org will choose from the the first 50 shoppers that come through on Friday, Nov 16, 2018 at 8am PST! GOOD LUCK my sweet friends! P.S. I will announce the winner on my blog & my MCT facebook page. Here is a closer look at today's project. Supplies: My Creative Time Pretty Gift Card Holder Die, Christmas Wishes, Santa Stamps and More Stitched Edges; colored pencils and twine. Hi there. The MCT team is sharing Day 3 sneak peeks of the 85th Edition release. Merry Christmas. May your Christmas sparkle with joy and happiness. This card's sentiment was heat embossed in gold and framed in gold glitter. 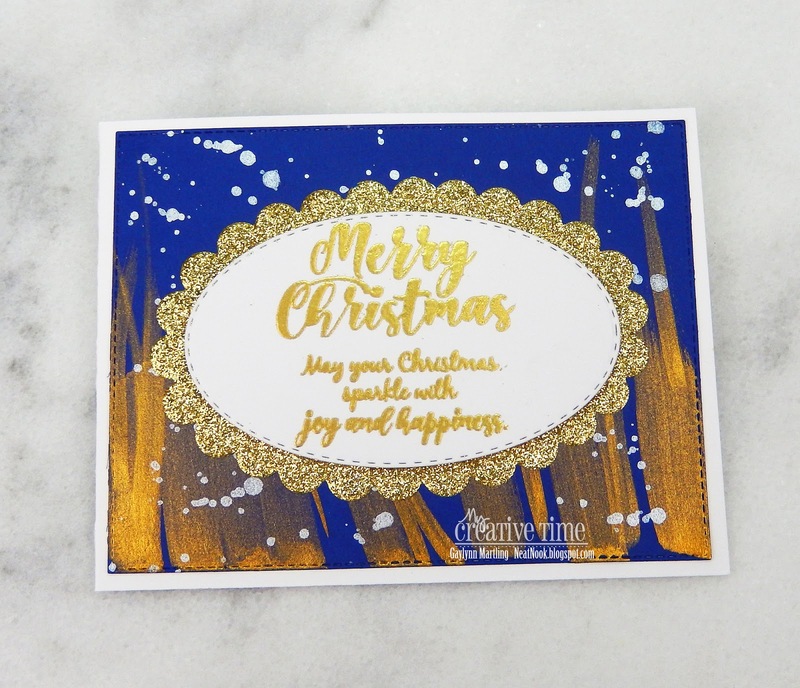 The background was made using gold and silver watercolor against dark blue cardstock. I wanted to make a holiday card that sparkled to match the pretty sentiment. 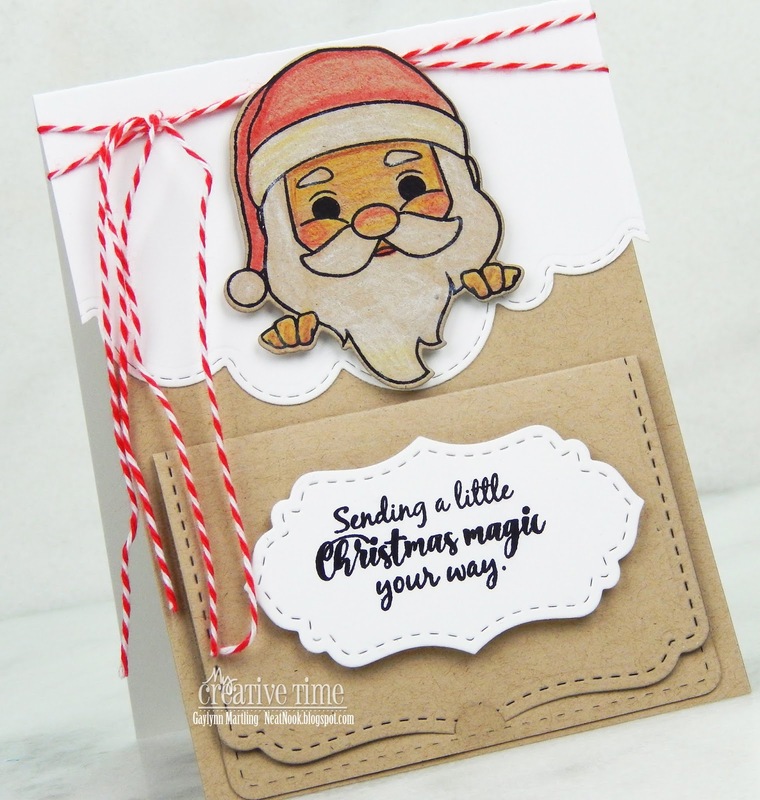 Supplies: My Creative Time Christmas Wishes, Santa Stamps, More Scalloped Stitched Ovals and Stitched Rectangular Frame Dies; Gansai Tambi starry colors watercolor, VersaMark ink and glitter paper. Brick background distress ink watercolor card. For Watercolor Wednesday on the Unity blog, I am sharing a way to use distress ink pads to create a brick watercolor background for card making. For this card, I stamped and embossed the brick background in white onto watercolor paper. Watercolor was added using distress ink pads. Supplies: Unity Stamp Co. Hit The Brick and Obsessively Grateful; Original Misti by My Sweet Petunia; Ranger watercolor paper, clear embossing powder, mini mister, distress ink in weathered wood and victorian velvet; ColorBox sweet tooth ink; StazOn jet black ink, powder tool, PTI vellum, doily, water brush, heat tool and My Creative Time dies. Hi there. The MCT team is sharing Day 2 sneak peeks of the 85th Edition release. Sentiment: A hug in a mug just for you. 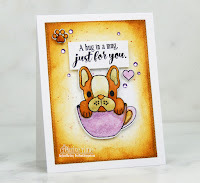 This card was made with adorable pet themed stamps. I chose to use the cute dog in the mug. Watercolor was added using distress ink onto watercolor paper. The background was blended using a foam applicator with distress ink. I also used the added icons included in the set. Supplies: My Creative Time Cute Mugs and More Stitched Rectangular Dies; Ranger archival ink and watercolor paper; distress ink pads in brushed corduroy, old paper and milled lavender; water brush and adhesive gems. Woodgrain background watercolor flower card. A birthday card with a cupcake and a butterfly. Miss you bird card in Copics.